Our extensive gift shop is sponsored by Warren and Jayne DePrenger, owners of MATMAN wrestling company. 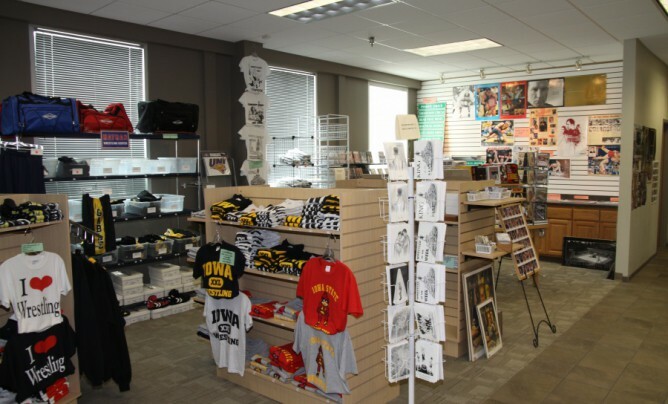 The gift shop has a wide array of wrestling items for every fan, including books, videos, posters, trading cards, Dan Gable Museum apparel, and specialty items like cribbage boards and paperweights. Every visit to the museum should include a stop at the MATMAN Gift Shop.